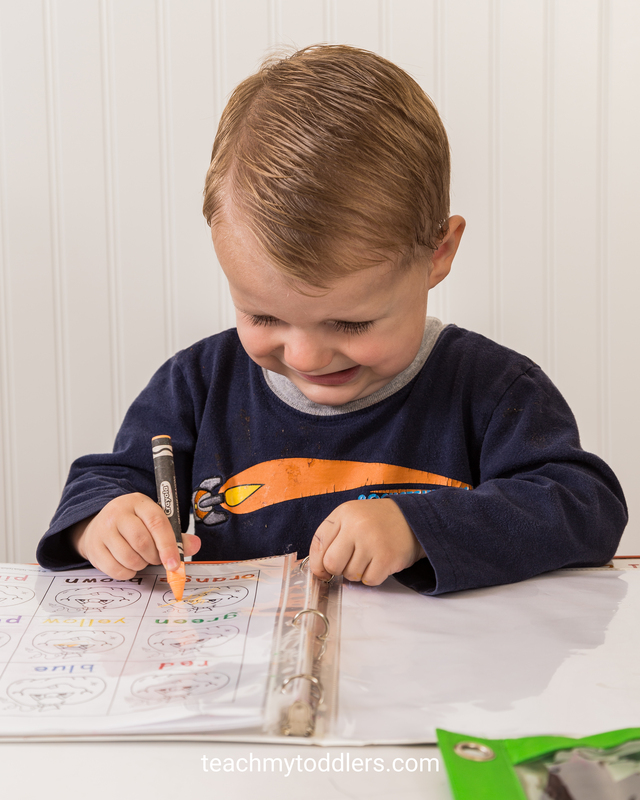 Fall can be such a fun time to use a toddler tray! 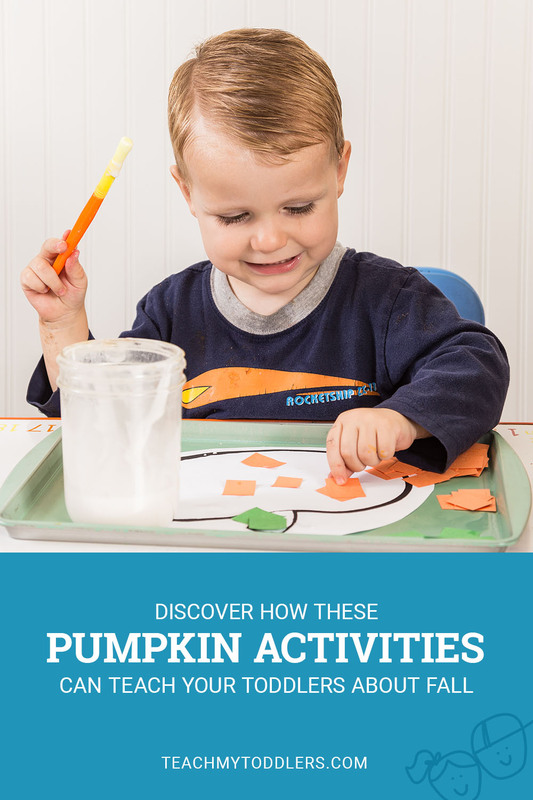 Keep reading to find some great pumpkin activities for your toddler! 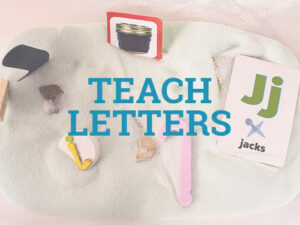 Support Teach My Toddler by using the affiliate links in our articles to shop. We receive a small commission (at no extra cost to you) so we can continue to create helpful free content. Thank you, we appreciate it! 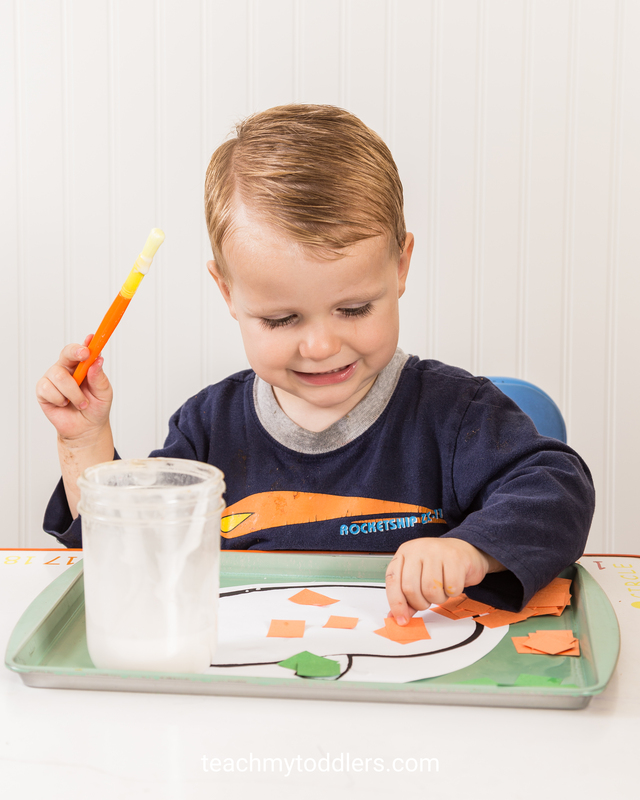 This tray has a blank pumpkin outline, small orange and green construction paper squares to cover the pumpkin, and homemade mod podge and a paintbrush. 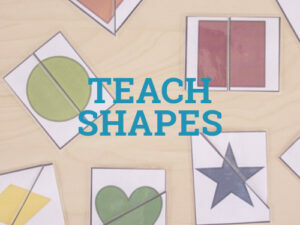 Have your toddler use the mod podge and paintbrush to glue the squares onto a pumpkin outline. I felt rather creative coming up with this tray. It’s simply a pegboard and some pegs, but to make it pumpkin themed I put out a green pegboard with orange pegs. 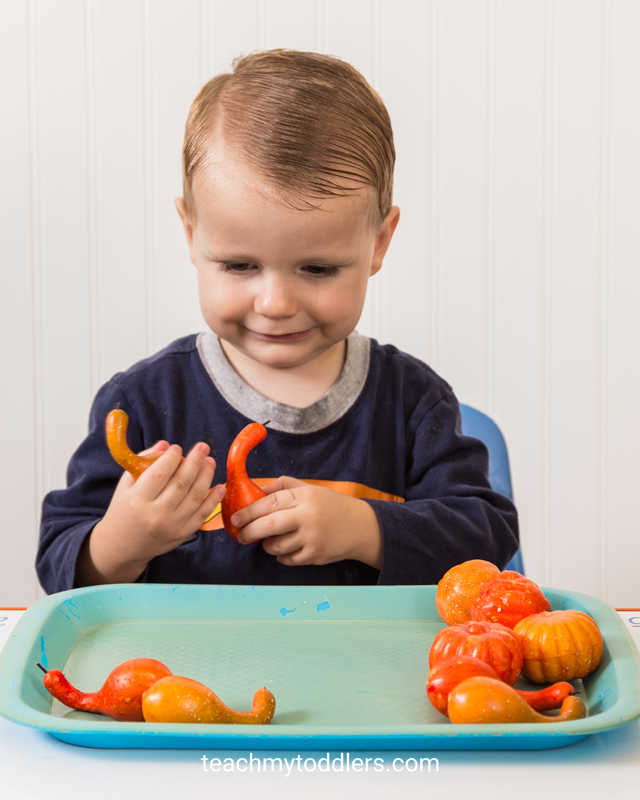 Talk to your toddler about pumpkin patches, and explain how the pegs look like pumpkins in a pumpkin patch. Then let them “pick” the pumpkins. 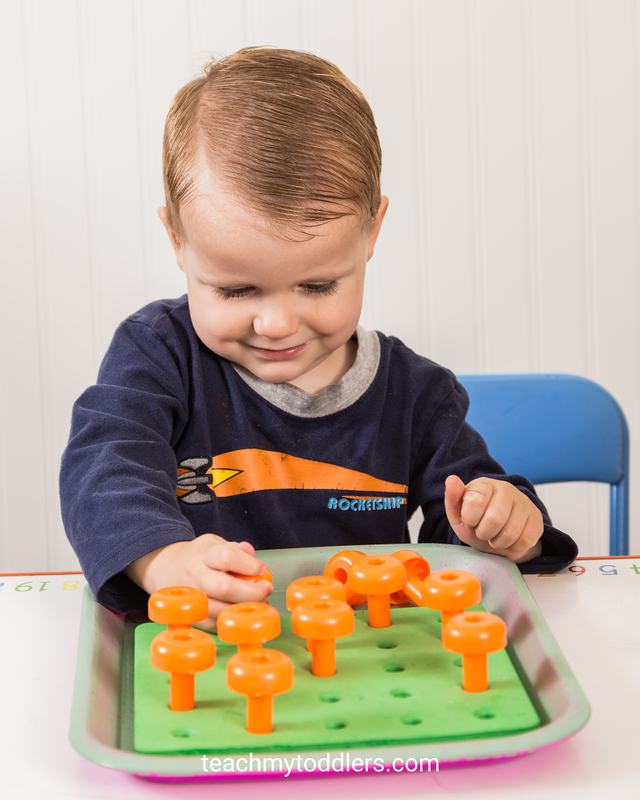 Not only is this tray fun, but your child gets lots of great fine motor practice. 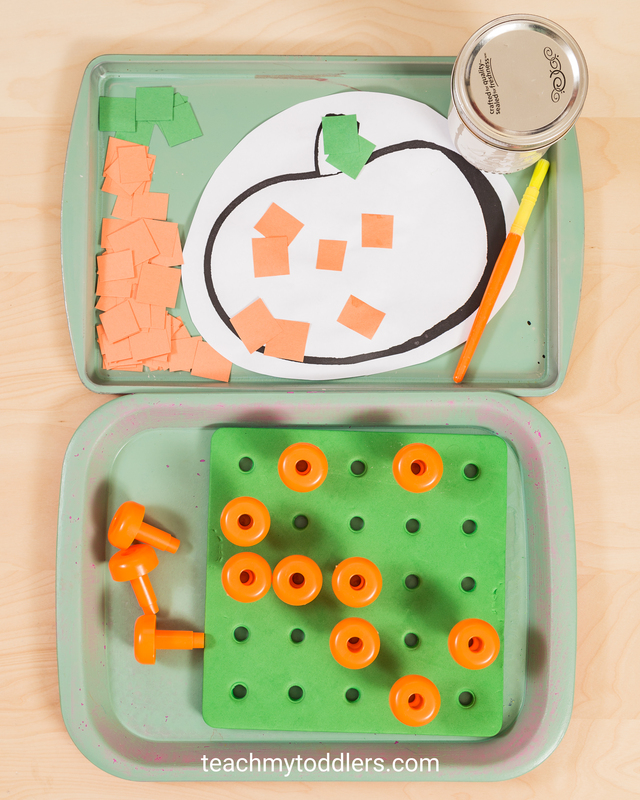 This tray had small orange math cubes and some green pipe cleaners. These math cubes have tiny holes that the pipe cleaner just barely fits through. 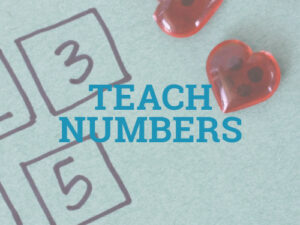 Show your child how to “bead” the math cubes onto the pipe cleaners. I found a cool set of Styrofoam pumpkins and squash from the dollar store. I bought two packages of them (one set of orange pumpkins and squash and one set of red pumpkins and squash). The idea was that my son would have to choose one orange pumpkin (or squash) and then find the matching red one. He really liked playing with these and he did pretty well with the matching. 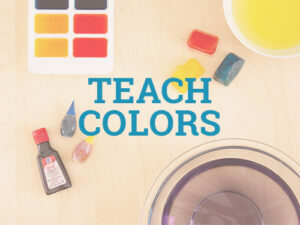 In retrospect, I should have gotten one orange set and one green or yellow set. The red was pretty close to the orange and some of the pieces were already the same, so it made it hard for him to get a red and an orange in every match. 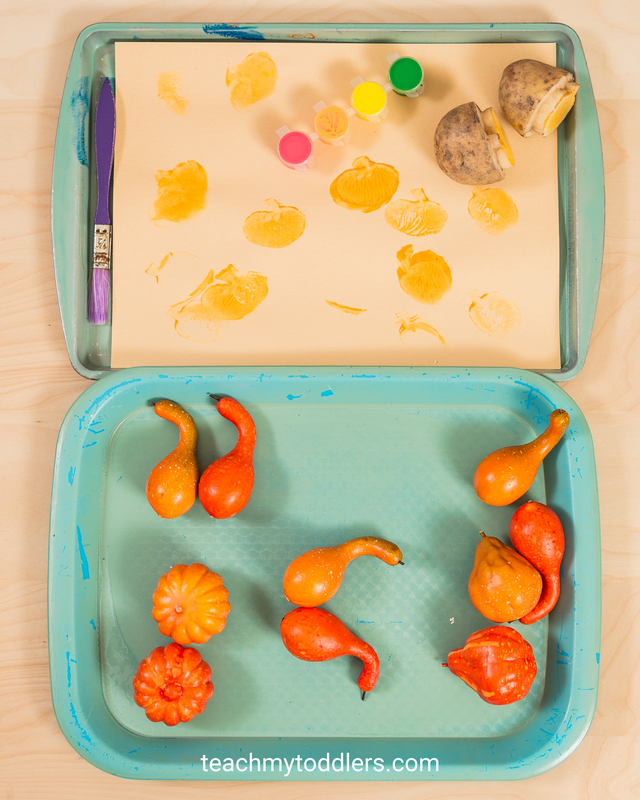 This toddler tray had potato stamps with pumpkins carved into them. If you don’t know how to make a potato stamp, just cut a potato in half and carve whatever shape you want into the potato. 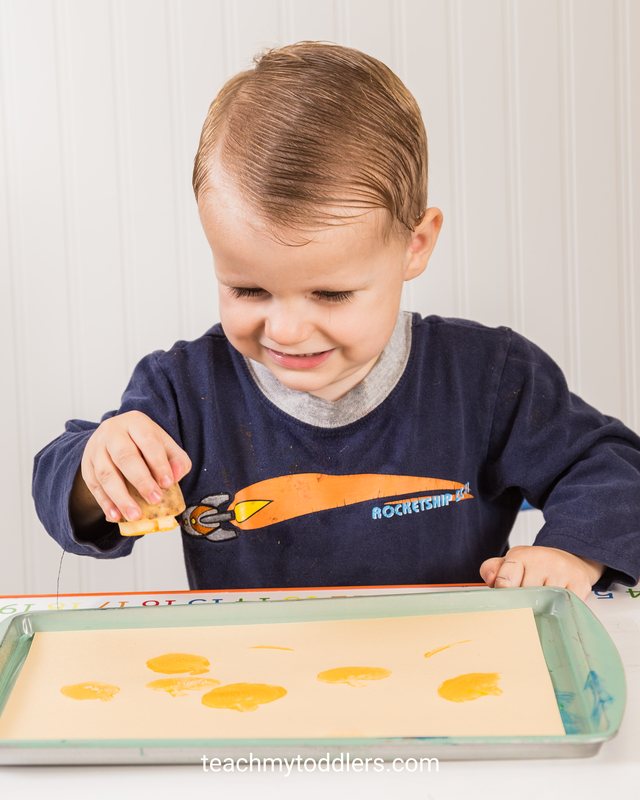 To do this tray, I painted some orange paint on the potato stamp and then my toddler used the potato stamp on some construction paper. He absolutely loved this tray and it was definitely his favorite. 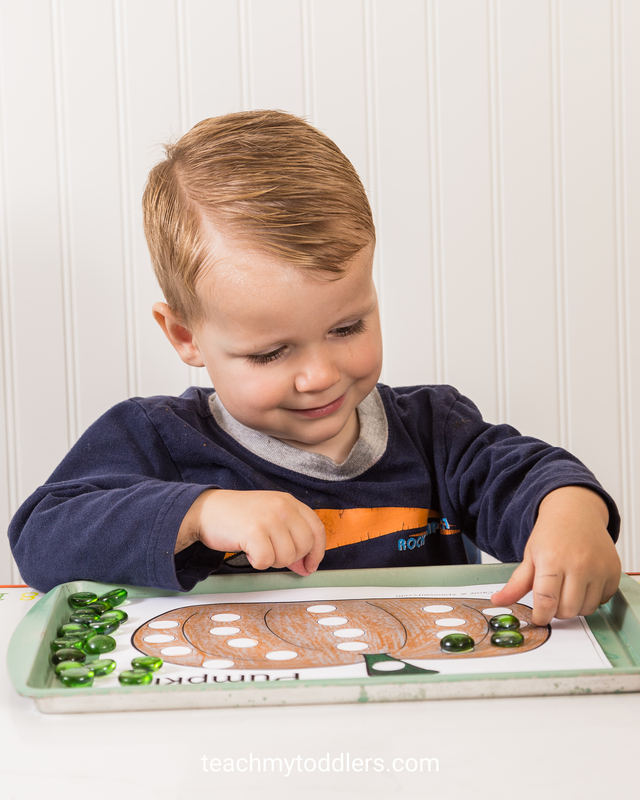 I got almost all of the printables for these pumpkin toddler trays from a Pumpkin Printables Pack from 1+1+1=1 and the Pumpkin Printables Part 2 from 1+1+1=1. I also got one page from the 3 Dinosaurs Fall Pack. Awww, your smiley guy is so cute! He looks like he is enjoying all his trays! 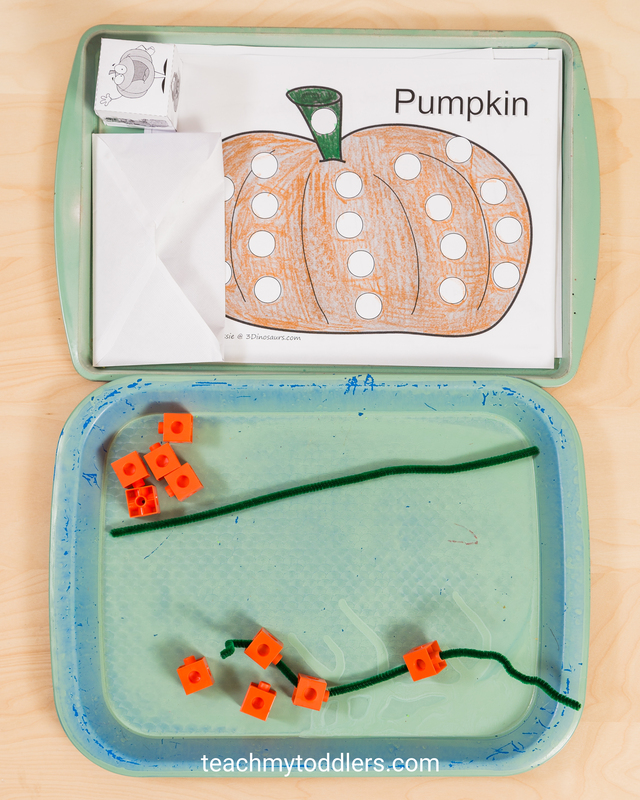 We are working on some pumpkin fun in tot school this week.. Love the cubes on the pipe cleaners– we’ve done something similar with pony beads. And looks like I’ll have to make a run to the Dollar Store for those gourds–great for free play/ exploration!! So many great activities. Thanks for posting! He looks so happy in every picture! He sure seems to love school!